3 Sisters Farm has been in the family since 1910, and is named after Ron and Shelly’s three daughters, Jennifer, Jessica, and Roshel, who are the fifth generation to live and work on the Whidbey Island Farm. 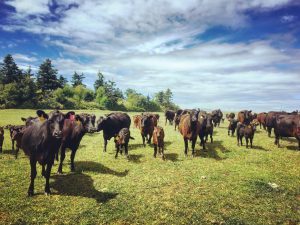 With the knowledge that Whidbey Island soils and climate are excellent for the raising of grass, the farm is committed to raising healthy, well-loved, grass-fed animals. They rotate their grasses with spring barley, stored to feed their hogs and chickens. During the growing season, they pasture their cattle and sheep in the fields, as they have since the 1950s. The Muzzals have worked hard to be compassionate towards their animals, even carefully selecting their butcher. For example, when they bring the cows to slaughter, they assure every animal is as calm as possible during transport and at the butcher. Most cows are very calm – until the last one remains, all alone. They always take this last cow home, assuring that every cow has company during their final moments. This also increases the quality of their beef, reducing the amount of stress hormones present in the final product. Their cattle are composite, a mix of many breeds, but primarily black Angus. All their livestock (cows, sheep, hogs, chickens) are bred and selected for temperament and stature. For many years, you could see Shelly at the Anacortes Farmers Market, until they opened their Market store. You can still find them at the Anacortes Farmers Market on occasion. 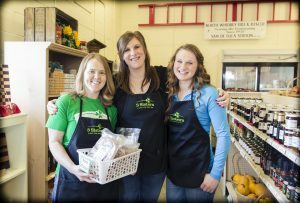 You can visit the 3 Sisters Market at 779 Holbrook Road, Coupeville, WA 98239. It is a brilliant place to stop on the way to or from the Coupeville Ferry. They are open every day from 9am to 6pm. 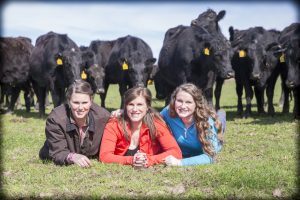 For more information on the farm and their history, you can visit their website at http://www.3sistersbeef.org.